The Farm to Families CSA program, celebrating it's fifth year, was initially funded by the Appalachian Foodshed Project. 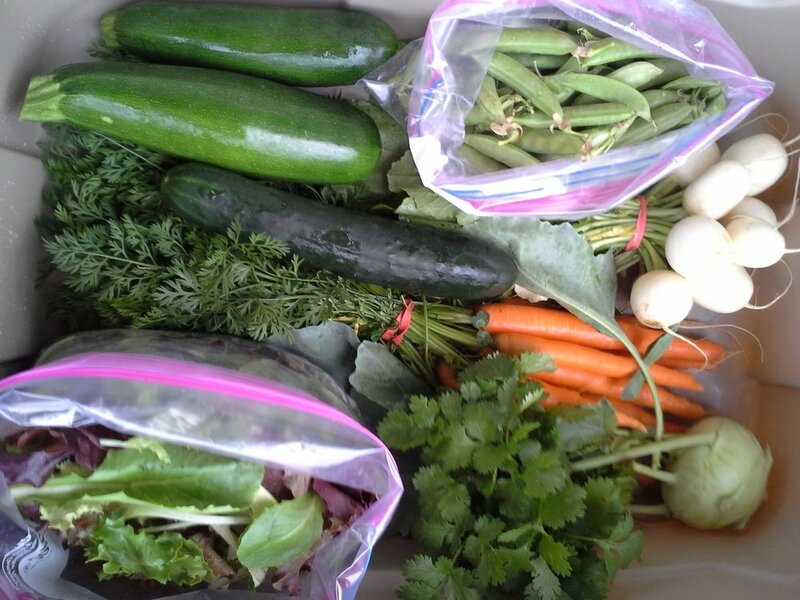 Each growing season participating families pick up a box of the freshest vegetables from the Shack Neighborhood House on a bi-weekly basis from May to October. By addressing the biggest barriers to fresh foods - cost and location- shareholders with limited resources become able to participate in a market previously inaccessible. Families participating in anti-hunger programs run by our partner organizations, are eligible to apply starting in March. These shareholders are then provided with the CSA share at an affordable, subsidize price dependent on income. Farm to Families CSA is the result of community partnerships between Conscious Harvest, The Shack Neighborhood House, Mountain Harvest Farm, Firsthand Cooperative and more. Example Share This photo, provided by Mountain Harvest Farm, provides an example of the bi-weekly box made available to families.